Saw it yesterday ... better than I-III, it was good pace, great effects but the plot has WAY too many similarities with IV-VI !!! Also chewbacca didn't seem to age. Wonder what his secret is. Wookies have a lifespan of several hundred years. While the 30 year span from ROTJ to TFA for humans might be significant, in the lifespan of a Wookie, 30 years could be more like 4-5 years for us, possibly even less. So his secret is good genes. Good Wookie genes. I thought they made chewie much too expressive. Two thumbs up. Three if I borrow one. 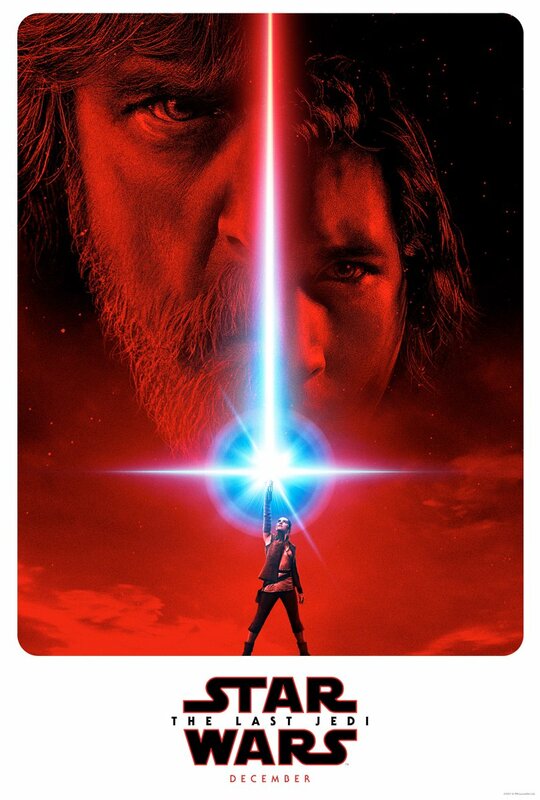 Is Luke Rey's father? Most of the signs tend to be pointing to Rey being Luke's daughter, but I'm not convinced. If anything, I think we're being led into that assumption, in order to pull the rug out from under us later. My guess? She's Obi Wan Kenobi's Granddaughter. Exhibit A. Rey's Theme, from the Original Soundtrack. Remember back to 1999, when Episode I was soon to come out. The soundtrack had Anakin's Theme in it, which mirrored the Imperial March towards the end. Rey's Theme, starting at 1:55, very closely mirror's the music when Anakin and Obi-Wan were fighting in Episode III. Since we know that John Williams has composed one theme that closely mirrors another, it's entirely possible (if not likely) that the resemblance from Rey's Theme to the Anakin/Obi-Wan duel is done as foreshadowing. Exhibit B. Rey's accent while speaking. Rey speaks with a very crisp British/English (read: Imperial) accent. In all of Star Wars, there's only one other major "Good Guy" character with that kind of accent (C3P0 notwithstanding). None other than Obi-Wan, both Sir Alec Guinness and Ewan McGregor. Now, granted, Daisy Ridley is an English actress, so it stands to reason that she would keep her accent while acting. However, John Boyega (Finn) is also English, and speaks with an accent in real life. But for the movie? No accent. That's not an accident. To me, the accent is a subtle, yet powerful nod to Rey's true origins. Exhibit C. The flashback scene when Rey first touches the lightsaber. It has both Ewan McGregor and Sir Alec Guinness' voices in it (a nifty trick with Guinness, since he died 16 years ago). Ewan McGregor's voiceover line is something similar to "Rey, these are your first steps..."
Using both previous actors for Obi Wan makes a lot less sense if she ultimately is a Skywalker who never met Obi-Wan in real life. If she is a Kenobi though, it has much more relevance and significance. There are a number of other minor pieces that lead to this line of thinking, but those are my major 3. Final thought. Obi Wan has twice taken on a Skywalker as a student. It would be quite the profound moment in the series if a Skywalker now does the same for a Kenobi. That's one of a number of narrative symmetries that Star Wars is pretty famous for ("Bring balance to the force", "Always two there is, a master and an apprentice", et al). This was my "theory" on Rey's parentage. It is not meant to be taken seriously. Disney did it again. Rogue One was AWESOME. Just flat out AWESOME. It's hard for me to rank it with the other 7 at the moment, simply because it's so new. (Think about asking a child what their favorite toy is on Christmas Day, that's about how I feel about it thus far). But I can easily say that I would rank it at the very least equal with ROTJ. Possibly ahead of it, once the "newness" has worn off and I get a chance to see it a couple more times. 1 - Empire Strikes Back. 2 - A New Hope. 3 - Return of the Jedi. The Ewoks dragged this one down ever so slightly below A New Hope. 4 - Revenge of the Sith. The best of the prequels,but still far below the Original Trilogy. 5 - The Phantom Menace. 6 - Attack of the I Fell Asleep In This One Clones. So if VIII is "The Last Jedi", what is IX going to be? "Oh, s***! We're Out of Jedi!"? Kind of catchy, actually. The poster for the new trailer has me more intrigued than the trailer itself.